God designed the Church to function as a Body in an interdependent and unified way wherein everybody is a valuable and needed part. Why should the budget be placed outside of His design? In some churches the budget is worked on by an elite few, or even just one person, and then presented to the congregation to merely accept what has been deemed as best for the Body. Is it then any wander voting on the proposed budget sometimes leads to bickering and disgruntled parishioners? Is it any wander giving does not match up to the budget? God designed the Church to function as a Body because it works. When people’s input is requested, valued and seriously considered in developing the budget, they tend to be more supportive of the end result even if it doesn’t completely congrue with their thoughts. Ownership has been secured and they tend to be more willing to give, even sacrificially, to something they have been a part of. Emphasize the budget process over the end result. If seeking to line up with God’s purposes when developing a budget, prayer becomes an integral part of the process … before, during and after. Just as a physical body gets its directions from the brain, so the Body of Christ looks to the Head of the Church. You can’t function as a Body without the Head leading the way. How important is prayer in working on your church’s budget? Do you emphasize the spiritual dimension in developing a budget? Do you, as a leader, envelop the entire process in prayer? Do you enlist the prayer support of the Body? Do you encourage people to personally pray before providing input? Do you expect ministry teams to pray through their needs and goals before making proposals for their ministry areas? For more read a previous post: Budget Reflecting Your Church Purpose? TO DO: Think about the times you wholeheartedly sought after God through prayer as part of the budgeting process compared to times you did not. What kind of difference did it make? What can you do to make sure seeking after God and His purposes is a part of the process and not merely a tack on? Getting people from the various ministries involved helps to keep the focus on ministry. Leaders, and even a budget committee, can sometimes be too far removed from the real needs of the different ministries so it is important team leaders have a platform for sharing their perceptions about what is needed to accomplish God’s purposes in their ministry areas. In a process that fosters Body Life, the leader becomes more of a facilitator of the process, not a dictator. Guard against subtle control or manipulation of the process to promote your agenda or what you think the budget should look like. It’s not about you. Nor is it primarily about the end result. People matter in the process because God designed the Church to function as a Body wherein each part is important and needed. Who will coordinate, or facilitate, the process? Who are the key people that should have a primary role in the budgeting process? How involved should they be? How will you secure input needed from others? What role should the remainder of the congregation have? You may have a church constitution and bylaws that set forth a procedure for who submits and approves the final budget, etc. Review these documents to make sure they provide for a body life process. Perhaps it’s time for an amendment. TO DO: Think about how many people participate in your budget process. Is there a way to strategically involve more people? Remember, when a budget is based on “OUR” goals born out of prayer, people have more of a tendency to support it and make sure it is met. To truly make budgeting a process of Body Life, you need to foster the right kind of environment — a topic for the next post. You can subscribe to receive e-mail notice of new posts. This entry was posted in Budgeting and Finances . The more people involved the harder this becomes. God never promised Body life and living in accordance with His purposes would be easy or problem-free. If it was, we would see fewer church divisions. Satan does not want us to do church God’s way. He will piggyback on our self-centeredness and seek to throw obstacles in our way. But, when we follow God’s design and purposes, that is when we truly make a difference in this world and bring glory and honor to Him. In the end, it is well worth it. A key to involving more people is to have someone who coordinates the process willing to invest the time, be patient with the process and tactful in dealing with people. We are not talking about putting a big group of people in a room and letting it run rampant. 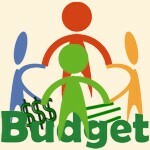 ← Previous Previous post: Budget Fit Your Church Purpose? Next → Next post: Budget Fostering Body Life?